The Bed & Breakfast "Au petit pont de bois" (Small wooden bridge) welcomes you. 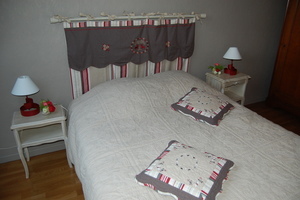 It is a peaceful haven in a charming village located between Calais, Dunkerque and Saint Omer. One room for couple with private and spacious bathroom with ventilation system. Double bed, desk, wifi, basket full with regional products.